The main purpose of the current study is to help researchers and students studying lithics in Brazilian archaeology to understand, through a macro-regional scale, the potential sources of the main occurrences of lithic raw materials in Brazil. This potential is presented from a qualitative point of view and has been divided along two perspectives. The first approach recalls the geological areas known as shields. These are the Guianas, Central Brazil, and Atlantic, and together, they account for 57.3% of the national territory. The sedimentary basins, more significant in size, are the Amazonas, Foz do Amazonas, Parnaíba, Sanfranciscana, Pantanal and Paraná, and account for the remaining 42.7% of the terrain. 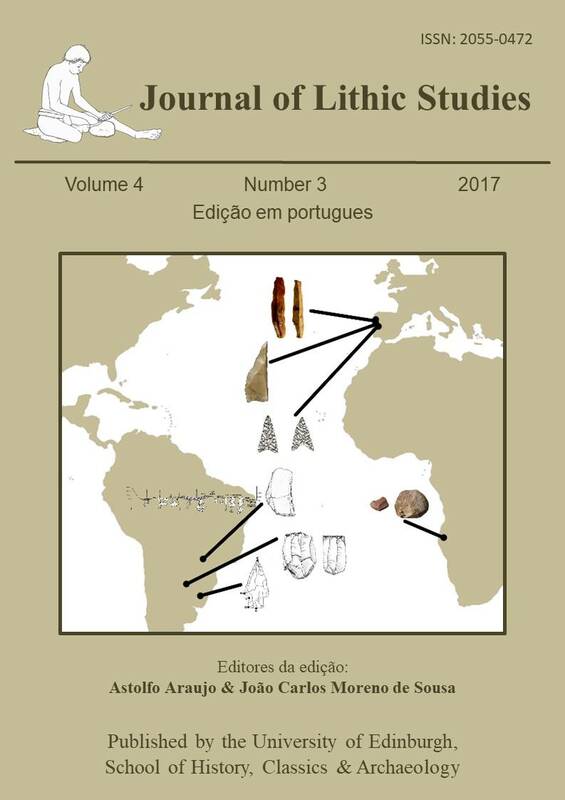 The second approach presents the lithic potential according to the major geomorphologic domains called the Amazonian, Cerrado, Mares de Morros, Caatinga, Mata de Araucárias, Prairies and Transition Zones, although this paper focuses only on the first four mentioned. Properly defining the nature of the lithic raw materials has been an issue for archaeologists, particularly those materials whose macroscopic features are similar and very fine grained, such as flint, chert, chalcedony, silcrete, silicified sandstone and fine sandstone. The lack of field activities in Brazilian archaeology courses results in not providing a minimum basis in mineralogy, geology and geomorphology for archaeology works to be carried out properly. In cases where the archaeological lithic studies are the main subject of the work or research, the scenario may be even worse due to the lack of availability of public domain geological maps at appropriate scale, in such a way that the small rock bodies, often classified as potential lithic occurrences, are not represented. To be used both in reference work, field research and laboratory stages, this paper provides simplified schemes of classification and identification for the most common rocks and minerals found at archaeological sites in Brazil, also mentioning the basic processes of rocks formation. Aging more than 541 million years, the shields are formed mainly by igneous intrusive and metamorphic rocks and their height ranges from 300 to 3000 meters. Their main raw materials, potentially useful for the lithic industries, are the granites, granodiorites, gabbros, diabases, amphibolites, quartzites, gneisses, iron formations, metamorphosed limestones, soapstones, jaspilites, laterites, quartz, hematite, manganese oxides and, more rarely, sillimanite and amazonite. Constituted by sedimentary and extrusive rocks as well as sediments, and located in regions whose altitude is below 300 meters high, the sedimentary basins age less than 541 million years. The most frequent sedimentary rocks, which are useful for the lithic industry, are sandstones, siltstones, arkoses, limestones and less commonly silexites and cherts; the main volcanic rocks are basalts, less frequently rhyolites and rhyodacites and very rare obsidians; among the minerals, can be mentioned agate, chalcedony and quartz; and gravel pebbles, laterites and silcretes as Tertiary-Quaternary sediments. The pebbles of fluvial and coastal gravels can contain certain rocks and minerals from practically all examples mentioned in the shields and sedimentary basins. The Brazilian river system, constituted by abundant water bodies, most of them draining shield areas and rugged terrains in basins, provided in the archaeological past a significant lithologic variety for those human populations, and such condition must be considered in the lithic studies in Brazil. Rua Gustavo da Silveira, 1035. Santa Inês.